Promising new ice box type hybrid. Early maturity with green to dark green foliage. It has attractive dark black fruits are oblong in shape with 3-4kg weight. Flesh is crispy with good crimson color. It has good firm texture and sweetness(TSS 13-14%). An outstanding hybrid for long distance shipping. Promising new hybrid, early maturity with green to dark green foliage. Fruits are dark black, very attractive & oblong shape. Deep red flesh, crispy granular texture with good sweetness(TSS 15-16%). An excellent shipper with wide adaptability. A vigorous , medium early hybrid with green to dark green foliage. 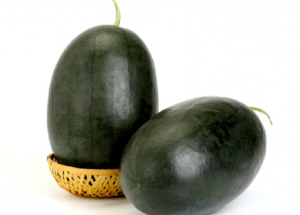 Fruits are big round, weight around 5-7 kg. Fruits are dark black, inner flesh is deep red with good texture & sweetness. It is ready to harvest in 75-80 days. Good keeping quality & suitable for long distance transportation. Early maturity, harvest in 25-28 days after flowering. 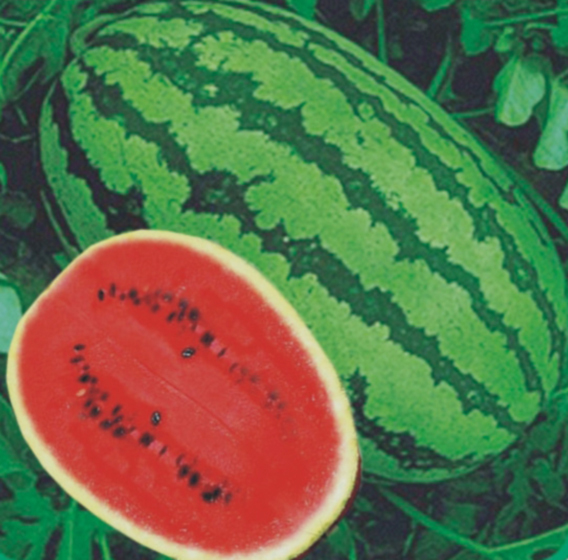 Fruits are oval, average weight 6 to 8 kg, pretty red flesh. Pure black rind, good for shipment. A vigorous vine type hybrid with green to dark green foliage. 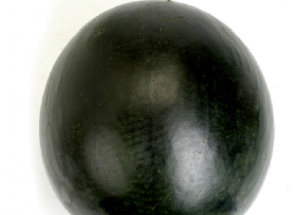 Attractive glossy fruits, oval to oblong shaped with light green rind and dark green stripes. 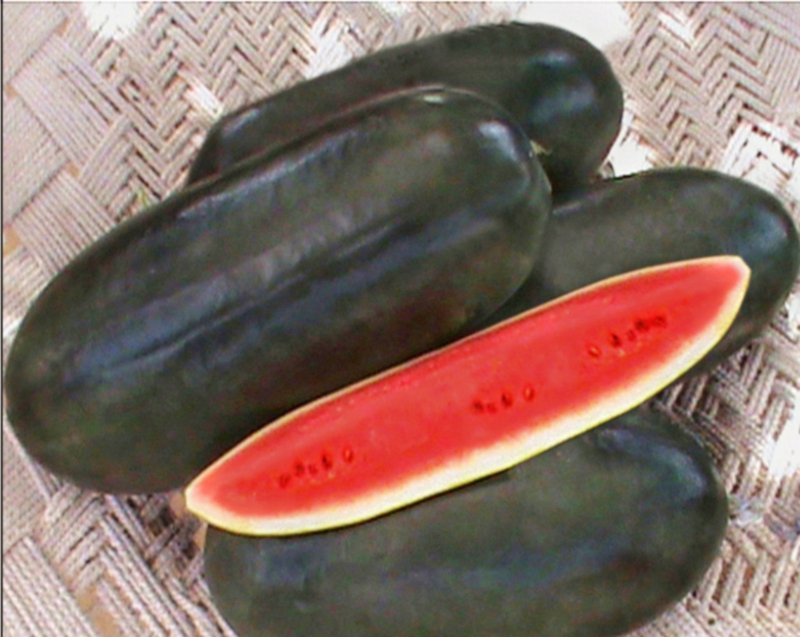 Fruits are with deep red flesh crispy granular texture with good sweetness(tss 12-13%). 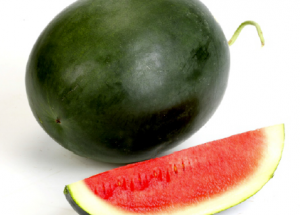 Average fruit weight up to 12-15kg. It is ready to harvest in 85-90 days and is ideal for long distance transportation. An early, vigorous vine type hybrid with green to dark green foliage. 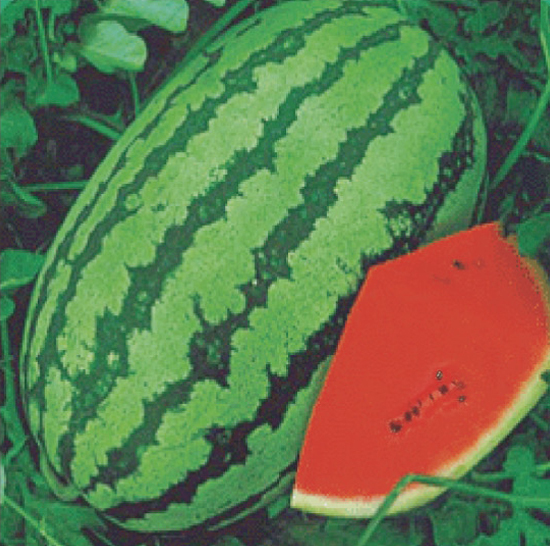 Oval to oblong shaped fruits with light green rinds and dark green stripes, juicy granular texture fruits with red flesh. Average fruits weight up to 8-10 kg with good sweetness(tss 12-13%). Ready to harvest in 70-75 days, suitable for long distance transportation. Average fruit weight up to 10-12kg. It is ready to harvest in 75-80 days and is ideal for long distance transportation. Early maturity with dark green foliage. Fruits are glossy round to oval with fine netting. Golden Glamour is with deep salmon flesh, fine texture & good aroma. It has small cavity, very high brix of 14-15%. 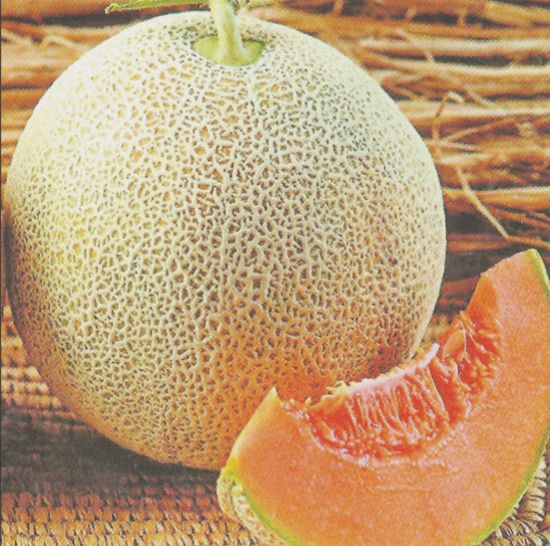 This vigorous vine cantaloupe is with dark green foliage. Very attractive fruits, round to oval with fine netting, weight around 1.3-2.0kg., deep salmon flesh with good texture & aroma. Lovely-6444 is early maturity hybrid with good keeping quality. Suitable for long distance transportation. It has high brix of 13-14% & ready to harvest in 65-70 days. Very attractive fruits, round to oval with fine netting, weight around 1.2-1.8kg., deep salmon flesh with good texture & aroma. Kesaria is early maturity hybrid with good keeping quality. It has high brix of 13-14% & ready to harvest in 60-65 days. This hybrid is vigorous and tolerant to virus. Fruit is round weighing about 1-1.5 kg. 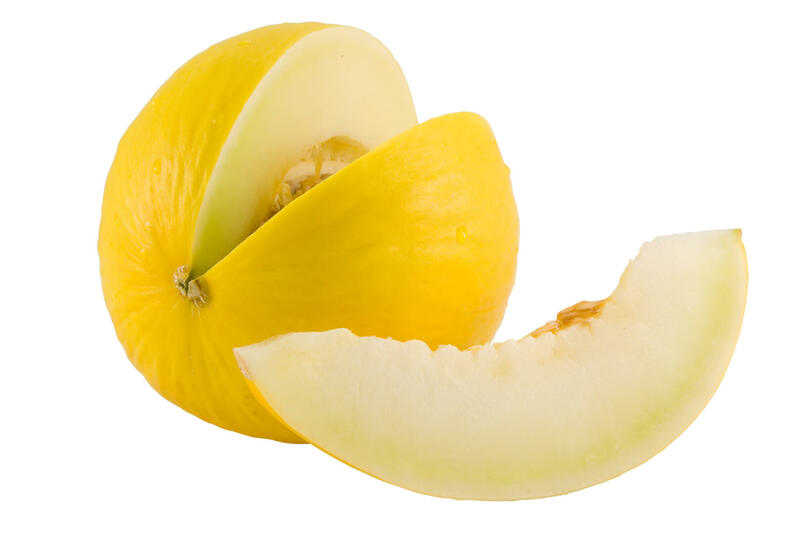 Rind is creamy tinged with light yellow colour and has sparse net. Flesh is light green, juicy, tasty and sweet with sugar content of 14-16%. Suitable for Kharif & early Summer. 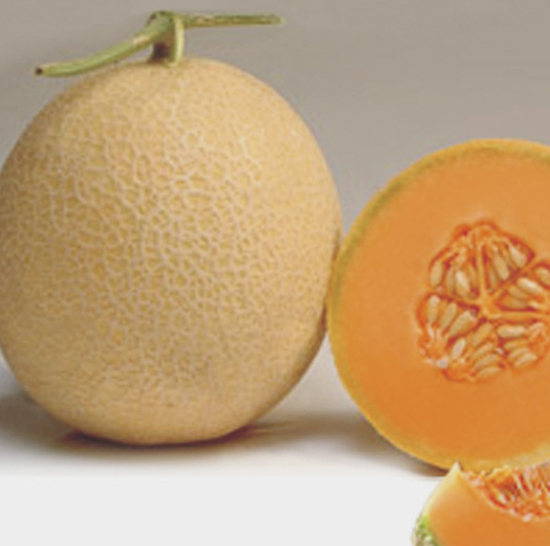 Attractive fruits, round, weight around 1.3-2.0 kg. Deep white flesh with good texture & aroma. Early maturity hybrid with good keeping quality. It has high brix of 15-16%.